Travel the night sky and discover the stories in the stars. Look up: above us is a jet-black canvas pricked with white dots, and a carnival of animals, mythical creatures, gods and goddesses in its shining constellations. 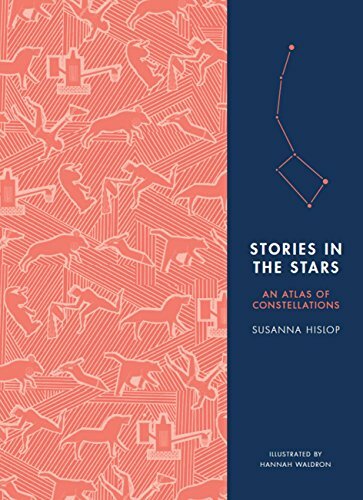 Here, Susanna Hislop – writer and stargazer – and Hannah Waldron – international artist – leap between centuries, cultures and traditions to present a whole universe of stories in all their blazing glory. Stories in the Stars is an imaginative and whimsical exploration of each of the night sky’s 88 constellations: a playful and stunningly illustrated compendium.